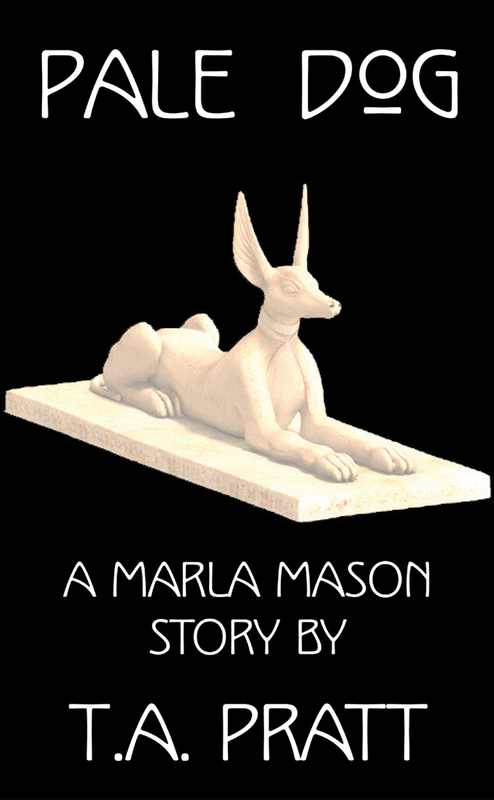 "Pale Dog" is the first published story about sorcerer Marla Mason, the notorious witch queen of Felport, and star of the urban fantasy series by T.A. Pratt. Marla and her right-hand man Rondeau track down a treacherous sorcerer who refuses to stay dead, with help from an adorable white dog... who may, possibly, be a hound from hell. Oh: and there's also a haunted zoot suit. I have to admit that this is fast becoming one of my favourite series. 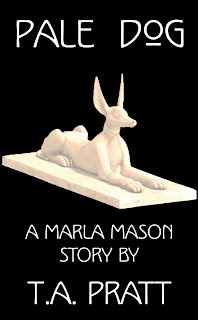 Marla Mason is just so much fun to read! This happens to be another prequel story, and it's a fun one. What do you get when you mix a sorcerer who refuses to die, a haunted zoot suit, a very compelling white dog, and one of the best sorcerers in Felport? An excellent adventure! This short story was well written, has super cool supernatural elements, and totally cracked me up in some places. I had a lot of fun reading this little Marla and Rondeau saga. Awesome!